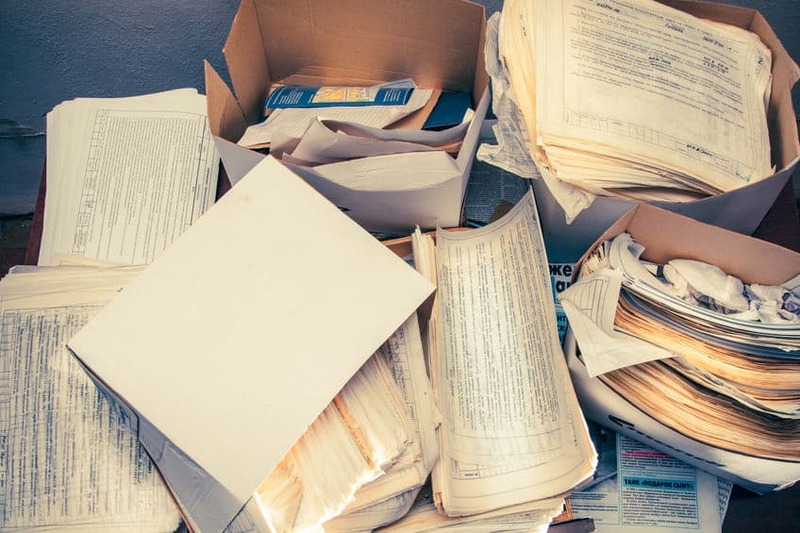 Messy paper documents that need an organizational planner. For the most part, life is so chaotic! It helps to have an organizational planner to help. It is equally important to say, Caregiving is an important task. Also, It helps in fulfilling the emotional and physical needs of someone who is unable to carry on their tasks. Furthermore, Caring for the special needs of a disabled person or an aging loved one can become stressful. This is why it is so important to carry it in an organized manner. With this in mind, Caregiving is the most beautiful and rewarding job in the world. In other words, the job of caregiving is not limited to giving care. Furthermore, it also involves taking care of all the medical and other information for your loved ones. For this reason, managing both these tasks can become difficult, if not carried out in an organized manner. In fact, organizing all the information in one place becomes very important. And an organizational planner is something that can be of great help. How is the Caregiving organizational planner useful? First, It helps organize important information in one place. Secondly, It makes lives pretty easy for the caregivers and anyone that wants to stay organized. Finally, keeping track of all the important details as you help your aging family member becomes a job in itself. Bits and pieces of information are in so many different places around the house. Experience the feeling of relief when all the pertinent information is in one place. What information is the organizational planner for? For this reason, the organizational planner can help retrieve important information when needed the most. Why is the organizational planner important? Not to mention, if an emergency could you locate the vital information needed to help authorities? It is equally important, If you are a caregiver to aging loved ones, and you really wish to keep all their information at one place. Also, It is very important to maintain information to face life’s challenges. In reality, the carefully designed organizational planner is for storing valuable information while living. Furthermore, It will assist your loved ones with personal wishes at the end of life. Once you have the planner in your hand, you will be able to go through massive amounts of documents. And keep only the ones that are necessary and relevant. 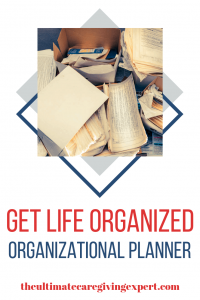 The organizational planner puts an end to the chaos and helps you stay organized. The planner is easy to use, and will also carefully guide you through your caregiving journey. 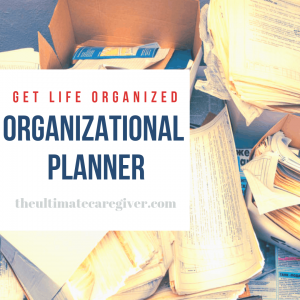 A Caregiving organizational planner is uniquely designed and pretty much easy to use. It will help you to store and organize all the important events of your senior’s life from beginning to end. You can either print the 35-page organizational planner. Or fill it out online and store it on your computer. 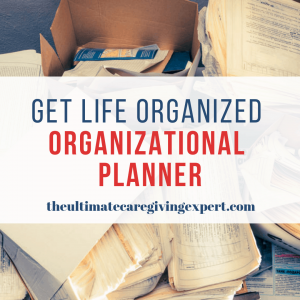 What more can the Caregiving Organizational Planner do for you? Current emergency information to provide to emergency personnel. Medical & health care information on who is currently treating you and for what. Family network information to keep information about your neighbors, friends, church affiliation, etc. Household and billing information for utilities and other services you use. A thorough family medical history to promote better health care. Automatic bill payment accounts conducted on the computer. Personal loans on home or auto. In the final analysis, I have dealt with so many emergency situations and it can be very frustrating. Also, not knowing where, who, why, when of it all can waste valuable time. Furthermore, I have also been apart of several secessions and they are no fun if you do not have all the information at hand. Finally, I have also researched other information to help, check out this article. It is from Carol Bradly Bursack and it shares 6 medical record keeping tips for caregivers. 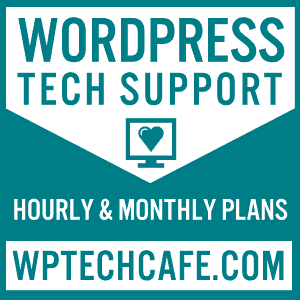 For extra help or resources, come check out the website.